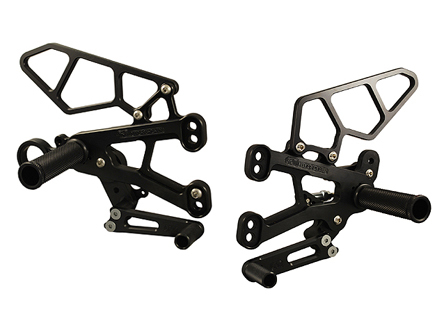 Woodcraft Rearsets available at MD Racing - one stop performance shop for your motorcycle needs on the race track and on the street. 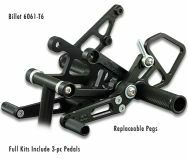 The full kit is required for the 04 + SV/S 650's, as the OEM pedals will not fit on these brackets. 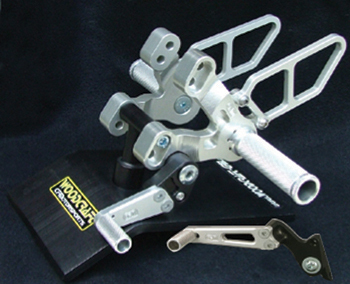 The full kit is required for the 04-05 SV/S 1000's, as the OEM pedals will not fit on these brackets.